OCEAN BLUE PLANTER TRIO by Summerfield Terrace home decor, jewelry, decor, decorations, electronics, fountains, floor mats, art glass, vases, garden essentials, fireplace screens. 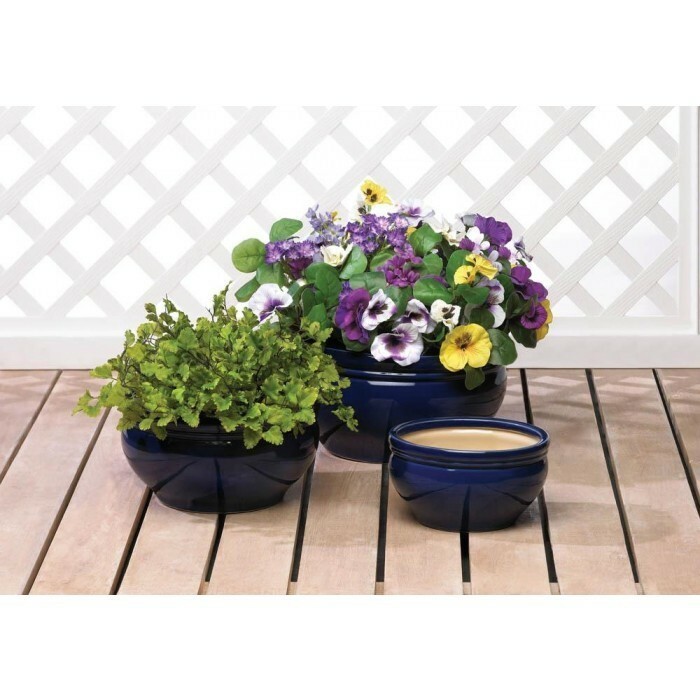 Add some everlasting color to your patio or garden with this trio of deep blue planters. You'll love the three sizes that will be a perfect fit for your favorite greenery. Drain hole at bottom of each pot. Large: 11 3/4" diameter x 6" high. Medium: 9 3/4" diameter x 5" high. Small: 7 3/4" diameter x 4 1/4" high. Material(s): CERAMIC. Weight 8.8 pounds. Dimensions 11.8" x 11.8" x 6".